To prevent from unauthorized network access, hacker attacks and viewing of web pages by users of network containing undesired content, in wireless router WFR-301 the complete complex of safety decisions is realized. They include: integrated gateway screen, filter of МАС-addresses, filter of requested services and URL-addresses, encryption by WEP, WPA/WPA2 standards. Wireless router WFR-301 fully maintains 802.11g and 802.11b standards, assuring compatibility with wide range of wireless devices. Wireless router 802.11g contains four Ethernet ports that allow connecting personal computers, printers and other devices with Ethernet-interface. Due to Quick Setup Wizard initial configuration of wireless router WFR-301 takes just a few minutes. 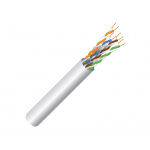 For more flexible and accurate tuning one can apply comfortable and functional web-interface. 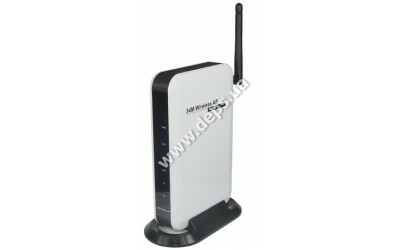 For tuning of wireless router WFR-301 installation of special software is not required that allows to configure device from any personal computer in the network. • power supply: DC 9 V 700 mА.